Yilan can be reached in less than an hour from Taipei, thanks to Asia’s second longest highway tunnel – the mighty Hsuehshan Tunnel. Yilan is located in a unique setting, looking out towards the sea along Taiwan's northeast coast on one side and surrounded by rugged mountains on all others. Known for its natural beauty and sweeping views, there’s plenty here to attract visitors, who either visit on day trips from Taipei or choose to stop and linger for a while staying in the area’s many hotels and rustic guest houses. 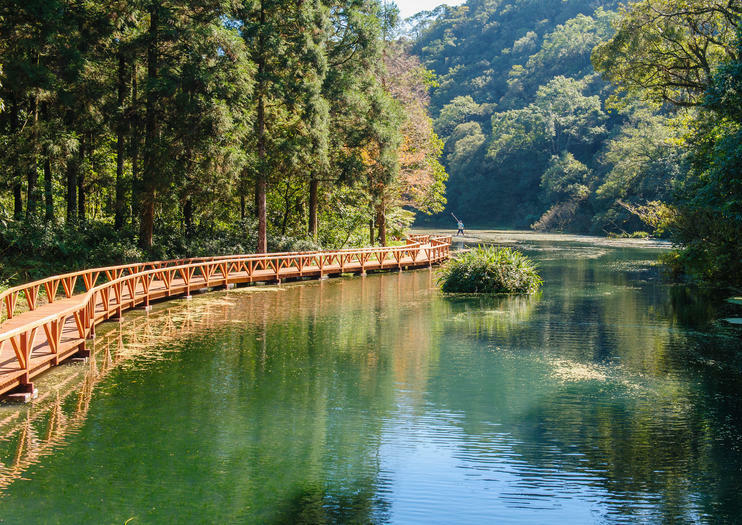 Located in the center of the Lanyang Plain, hot and cold springs and plenty of scenic nature trails make up the rural landscape around Yilan. Streams and rivers provide a constant source of replenishment for the nutrients in the soil here, making it a rich and fertile landscape. Meanwhile, the ocean provides some scenic coastal walks, along with an array of recreational activities, including the popular whale and dolphin watching trips. Of Yilan’s many highlights, the Qilan Sacred Trees Garden is perhaps its most fascinating. Home to around a hundred indigenous trees that are said to be over a millennium old, it’s a unique attraction and a haven of tranquillity, particularly for those who have just arrived from the bustling metropolis of Taipei. Yilan is served by regular and direct rail and bus services from Taipei Main Station. In this journey,You can not only experience the fun of mining scallion,but also DIY scallion pie,This is not usually to come across experience, and experience DIY painted paper umbrella, not only can paint what you want, You can take it home as an decorations,After enjoying the fun of DIY, we will go to a hot spring,wash away the tiredness of the day,Hot springs can not only whiten the skin,can also promote metabolism!